President OBama and Secretary Clinton discussing watches. Obviously. Photograph By Pete Souza, wikimedia. Two weeks ago I wrote about the lackluster watch collection of Mr. Donald Trump, the Republican Nomination for President of the United States, and in interest of balance, here are the watches of the Democratic Nominee, Secretary Hillary Rodham Clinton. Looking for Secretary Clinton's watches was far easier than looking for Mr Trump's. From 1993 to 2001 she was the First Lady of the United States, was elected Senator for New York in 2000, was Secretary of State from 2009 to 2013 and this year became the first female candidate of a major political party in America. She is one of the most photographed and documented public figures and politicians in the last thirty years with thousands of photographs taken of her. After looking at a significant portion of those photographs I'm able to have picked out at least six watches that Secretary Clinton has worn; two Chanel J12 Automatics, a Rolex Datejust and three other watches I can't identify. The Chanel J12 has seen the most wrist time on Secretary Clinton as she appears to have worn it since 2007 and continued to wear it during her time as Secretary of State. The J12 was launched in 2000 was one of the first all ceramic watches that was made for women and is one of the most popular watches made by the French fashion house. Secretary Clinton appears to have two J12s, one in white which was released in 2003 and one in the original black, and both are lacking any diamonds. The Secretary's steel and gold Rolex Datejust has been with her since at least 2008 but isn't worn as frequently as the J12. It has a white dial with stick hour markers however I am unsure of the exact reference. Rolex are so closely associated with wealth and status that it's understandable why a career politician might begin to wear their Rolex less; the J12 is by no means a cheap watch but the design and style of the watch doesn't have the cultural cache that a Datejust has. Back in 1993,whilst flying to Washington DC from Austin, Texas, then First Lady Clinton was obviously taking a breather as she is playing on a first generation Nintendo Game Boy. On her wrist is a small circular watch on a leather strap which I can't make out. Whilst her watch remained a mystery, apparently Secretary Clinton liked to enjoy a game of Tetris so perhaps that's what's on the screen. There are then three watches I've seen Secretary Clinton wear that I cannot recognise. In 2011 she was wearing a circular gold watch on a gold bracelet that I think is a Michael Kors. Having sold more Michael Kors watches than I can count when in retail, I thought I recognised the high profile case, matte and polished bracelet and raised patterns on the side of the watch. Infact the more I look at the watch the more I'm convinced that it is a Michael Kors. In 2012 at the International Women of Courage conference, Secretary Clinton wore a small rectangular watch on a two tone bracelet. I've never seen her wear this watch anywhere else and the photographs aren't close enough to make out the brand but if I were to wager I'd guess it was a Longines Dolce Vita; it has a very similar bracelet and an exceptionally small crown. Secretary Clinton wearing an unidentified rectangular watch next to first lady michelle obama and maryam durani. photo courtesy of the u.s. state department. Whilst not a video of Secretary Clinton directly, I did find a clip of Sir Simon Burns, Member of Parliament for Chelmsford, England, discussing a meeting with Secretary Clinton. The meeting was set up by then foreign secretary (the UK equivalent of Secretary of State) William Hague whom Sir Simon is referencing in the video. My non-English audience might be concerned or horrified by the jeering and heckling of a member of parliament whilst he's on the floor. Don't worry, it's actively encouraged and all part of the fun. There are just seventy three days till the election so come November we'll find out whether Secretary Clinton will be the first President of the United States to wear a Chanel watch. Oh, and become the first female President as well. 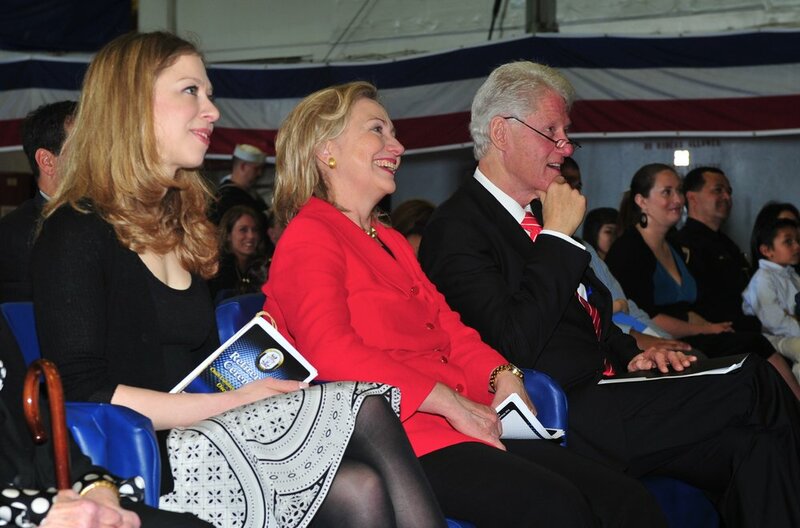 Commons, Wikimedia: Chelsea Clinton, Secretary of State Hillary Clinton and former President William Jefferson Clinton. Taken by the United States Navy. 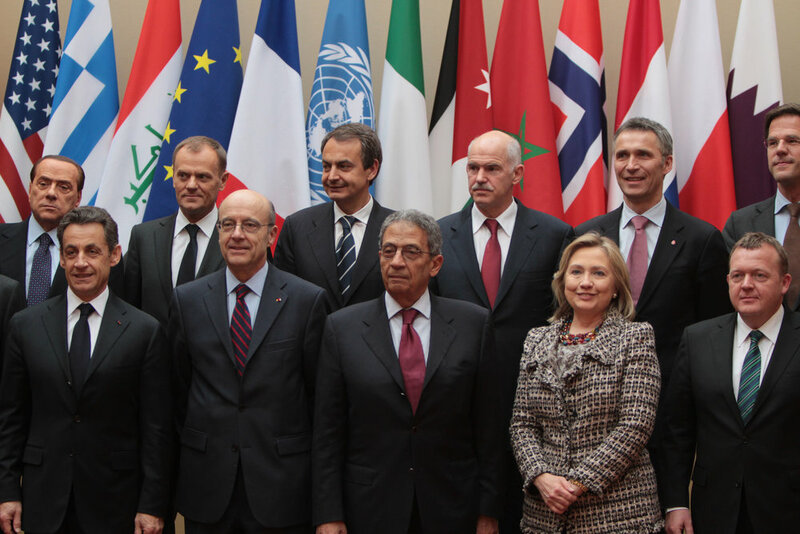 Commons, Wikiedmia: Paris Summit for the Support to the Libyan People. Photo taken by Αλέξης Τσίπρας Πρωθυπουργός της Ελλάδας. Commons, Wikimedia: Secretary Clinton with Bangladesh Foreign Minister Dipu Moni. Taken by U.S. Department of State. Instagram: April, 6th 1993. Hillary Rodham Clinton plays a Nintendo 'Game Boy'.